SpaceX Chief Executive Elon Musk announced Feb. 27 that the company is pursuing plans to launch two people on a Dragon spacecraft around the moon in late 2018. In the mission concept, a Dragon 2 spacecraft — a version of the Dragon spacecraft being developed for NASA’s commercial crew program, also known as Crew Dragon — would launch on a Falcon Heavy rocket from Florida and fly a “free return” trajectory past the moon and out to a distance as far as 640,000 kilometers from the Earth, before returning. The entire mission would take about a week. Technicians from Denmark installed a new linear particle accelerator at the Lockheed Martin’s Advanced Technology Center to cap a significant expansion in space instrument testing. The accelerator, one of a few in the world, is part of a collection of new testing hardware designed to take spacecraft to new levels of capability and performance. The RS-25 team has conducted the latest hot-fire test of development engine 0528 at the Stennis Space Center in Mississippi on Wednesday. While the team continues to wait for delivery of flight versions of the new engine controller units (ECU), they took the opportunity to conduct an engine test firing to evaluate a design trade-off that was recently proposed by the Space Launch System (SLS) program. The flight model ECUs are currently expected to start arriving at NASA facilities from Honeywell this week to begin testing to complete certification of the new engine control system, including several hot-fire tests throughout the year. And as Aerojet Rocketdyne restarts production of RS-25s, even more testing is planned over the next several years. For more than a year, mobile satellite services provider Inmarsat has been working with Addvalue Innovation (AVI), a communications technology company based in Singapore, to conduct secret tests of a service that lets operators maintain continuous contact with small satellites in low Earth orbit. Now, the companies are ready to offer the Inter-satellite Data Relay Service (IDRS) to satellite operators. A NASA mission to study a potentially habitable moon of Jupiter has passed a key review and will now enter a design phase, the agency announced Feb. 21. NASA said the Europa multiple-flyby mission, often called Europa Clipper, passed a review called Key Decision Point B (KDP-B) Feb. 15. The review allows the mission to enter into a preliminary design phase called Phase B. That phase will formally begin Feb. 27 and run through September 2018. Globalstar Europe Satellite Services announced that two European Union (EU) peacekeeping organizations have deployed the SafeFleet telematics fleet management solution, incorporating Globalstar’s SmartOne device. The European Union Monitoring Mission (EUMM) in Georgia and EU Rule of Law Mission (EULEX) both chose SafeFleet Telematics to track and manage fleets, monitor driver behavior, and safeguard personnel and civilian passengers in Georgia and Kosovo respectively. Both organizations have responsibility for maintaining law and order, as well as carrying out judiciary, policing duties and border patrol in their regions. They both sought a fleet tracking and monitoring platform to replace incumbent technology deemed inadequate. A NASA study now underway to examine the prospects of flying a crew on the first Space Launch System launch will constrain its evaluation to missions that can be flown by the end of 2019, agency officials said Feb. 24. In a media teleconference organized by NASA on only a few hours’ notice, officials said the study announced Feb. 15 regarding flying a crew on the Exploration Mission 1 (EM-1) flight of the SLS and Orion will examine the pros and cons of such a proposal, but not make a formal recommendation. Aerojet Rocketdyne announced that it has signed a definitive agreement to purchase Coleman Aerospace from L3 Technologies for $15 million in cash, subject to customary adjustments. The transaction is expected to close by the end of this month. Coleman Aerospace will operate as a subsidiary of Aerojet Rocketdyne and will be renamed Aerojet Rocketdyne Coleman Aerospace. 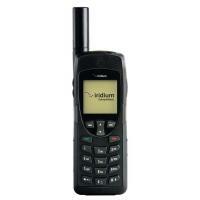 Coleman is a systems engineering and integration provider. Both a prime contractor and subcontractor, the company provides a variety of suborbital launch vehicles, payloads, and launch services. Coleman develops and integrates air- and ground-launched ballistic missile targets and mission planning for the U.S. Missile Defense Agency, and hypersonic testing for the U.S. Air Force Research Laboratory. HiSky has announced the introduction of Smartellite, a small portable device that uses advanced phased array beam steering antennas to automatically locate satellites at any location. According to the company, a proprietary built-in modem designed for low-to-medium bit rates allows for the fast acquisition of satellite signals while the network management system is designed to provide voice and low bit-rate data communication services. HiSky already has several registered patents for this solution. 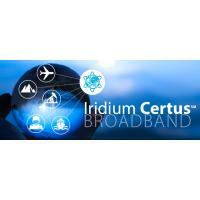 Iridium Communications has announced a targeted launch date of mid-June for the second mission of 10 Iridium Next satellites. Originally anticipated for mid-April 2017, the date has shifted due to a backlog in SpaceX’s launch manifest as a result of last year’s anomaly on Sept. 1. This second launch will deliver another 10 Iridium Next satellites to Low Earth Orbit (LEO) on a SpaceX Falcon 9 rocket. SpaceX is targeting six subsequent Iridium Next launches approximately every two months thereafter. “Even with this eight week shift, SpaceX’s targeted schedule completes our constellation in mid-2018,” said Matt Desch, chief executive officer at Iridium. Small satellite launch company Rocket Lab shipped its first orbital launch vehicle to the company’s Launch Complex 1 facility to kick off pre-flight checkouts ahead of a test campaign consisting of three trial launches. The startup had originally planned to commence test launches in 2016, but opted to perform additional ground testing, give its team some downtime around the Christmas holiday, and also complete infrastructure for the launch facility at Mahia Peninsula, New Zealand, Founder and Chief Executive Peter Beck told SpaceNews Feb. 15. A SpaceX Falcon 9 lifted off for the first time from a launch site here previously used by Apollo and shuttle missions Feb. 19, placing a Dragon cargo spacecraft into orbit. The Falcon 9 lifted off from Launch Complex 39A at 9:39 a.m. Eastern and placed the Dragon cargo spacecraft into orbit 10 minutes later. The rocket’s first stage successfully landed at Landing Zone 1, a former launch site at neighboring Cape Canaveral Air Force Station, eight minutes later. In its 39th flight, the Indian Space Research Organization’s (ISRO) Polar Satellite Launch Vehicle (PSLV) successfully launched ISRO’s 714-kilogram Cartosat-2 satellite along with 103 co-passenger satellites from the Satish Dhawan Space Centre in Sriharikota, India. This is the 38th successful mission for PSLV in a row. PSLV-C37 lifted off at 9:28 a.m. Indian Standard Time (IST), as planned. After a flight of 16 minutes and 48 seconds, the satellites achieved a polar sun synchronous orbit of 506 kilometers inclined at an angle of 97.46 degrees to the equator. In the succeeding 12 minutes, all 104 satellites successfully separated from the PSLV fourth stage in a predetermined sequence, beginning with Cartosat-2 series satellite, followed by ISRO NanoSatellite-1 (INS-1) and INS-2. A panel of former NASA astronauts and officials offered tentative support Feb. 16 for an agency study announced this week to examine putting a crew on the first flight of the Space Launch System. The witnesses, which included two former astronauts, a former chief scientist and a former center director, were asked about the issue late in a two-and-a-half-hour hearing on NASA by the House Science Committee. The hearing took place a day after NASA Acting Administrator Robert Lightfoot announced plans to study the feasibility of putting crew on Exploration Mission 1 (EM-1), currently scheduled to launch in late 2018 without a crew. The Government Accountability Office (GAO) issued its biennial assessment of high-risk government programs yesterday. The report addresses programs in all parts of the government, including civil and national security space programs. NOAA's weather satellites have been on the high-risk list for several years, but GAO praised NOAA's progress with its GOES series of geostationary weather satellites and concluded they no longer warrant inclusion. NOAA's polar orbiting satellites remain on the list. GAO also added DOD's weather satellite program to the high-risk list because DOD lacks a comprehensive plan for providing required capabilities. Iridium Communications says SpaceX has pushed back the launch of its second batch of next-generation satellites from mid-April to mid-June, a move that shifts the expected completion date for Iridium Next to the middle of 2018. Iridium’s satellites are launching 10 at a time on Falcon 9 rockets lifting off from from Vandenberg Air Force Base in California — part of what Iridium Chief Executive Matthew Desch described last June as a “separate queue” from SpaceX missions launching from the more frequently used Cape Canaveral Air Force Station in Florida. However, that was before a Falcon 9 exploded on the Cape’s Pad 40 during a routine pre-flight test. The accident halted SpaceX launches for four-and-half months. Falcon 9 returned to flight Jan. 14 delivering the first 10 Iridium Next satellites to orbit. The U.S. government urgently needs to transform its approach to space defense. Slow and onerous procurement processes are stunting the innovation necessary to sustaining the nation’s leadership in the national security space arena. A more responsive approach to acquisition can help the Department of Defense (DOD) boost the resiliency of its space enterprise, and provide access to the agility, diversity, and innovation of the commercial space sector. Late last year senior government leaders from Air Force Space Command (AFSPC) and senior executives from a variety of companies gathered for the National Defense Industrial Association (NDIA) annual Executive Forum in Colorado Springs. The theme was “Preparing for Tomorrow’s Fight,” a priority identified in Gen. John Hyten’s Commander’s Strategic Intent. I had the privilege of representing Intelsat General (IGC) as the only commercial satellite operator invited to attend the event. Globalstar Canada Satellite Co., a wholly owned subsidiary of Globalstar Inc. (NYSE MKT: GSAT) and the leader in satellite messaging and emergency notification technologies, announced today that its SPOT family of products has set a new safety record with 274 rescues initiated in Canada in 2016. The new milestone surpasses the previous record of 196 rescues which was set in 2014. To date, an estimated one-third, or 30% of all SPOT rescues worldwide have been initiated in Canada. SPOT is a proven and essential life-saving line of communication using 100% satellite technology for messaging, tracking and emergency notification completely independent of cellular coverage. Mina Mitry is at the helm of a seven-person company that has raised $5.5 million since forming in 2015 to develop a global constellation of cubesats to connect any device on Earth or in orbit. Kepler Communications is the fourth startup on the 27-year-old’s resume, but the first he co-founded — and his first dealing with space. Before launching Kepler Communications, located in a small office suite above a nail salon and Wild Wing restaurant in downtown Toronto, Mitry put his aerospace engineering degrees to work at a succession of tech-heavy startups, including TeaBot, a company that makes self-serve, loose-leaf tea kiosks, and Brizi, a company that aims to equip the world’s sports arenas with augmented-reality camera systems that fans can control from their smartphones. Inmarsat announced that its LoRaWAN-based network developed in partnership with Actility, is delivering on its strategy to bring the Internet of Things (IoT) to every corner of the globe. Early applications in asset tracking, agribusiness and oil and gas are helping businesses in remote regions of the world become more efficient, reduce costs and drive new revenue through IoT-based solutions. SpaceX could attract a holiday weekend crowd for its first launch from Kennedy Space Center, now targeted for Saturday, Feb. 18, at the start of Presidents Day weekend. Liftoff from historic pad 39A of a Falcon 9 rocket and unmanned Dragon capsule carrying International Space Station supplies would be expected just before 10 a.m.
Comtech Telecommunications announced the release of the VersaFEC-2 High-Performance Low-Density Parity-Check (LDPC) option board and version 1.5 for the CDM-570A/Large Internet Packet (L-IP) satellite modems. The VersaFEC-2 waveform is an evolved version of the VersaFEC waveform. VersaFEC-2 was designed to provide optimal performance for latency sensitive applications that require the highest coding performance at the lowest latency, according to Comtech. It features 74 modulation and coding combinations (ModCods) and a new family of constellations that allows better operation on non-linear satellite channels, outperforming the Digital Video Broadcasting-Satellite-Second Generation (DVB-S2) standard. This new innovation provides two operational modes: Long-Block and Short-Block. Iridium Next satellite prime contractor Thales Alenia Space on Feb. 3 said the successful early in-orbit tests of the first 10 Iridium Next satellites, launched Jan. 14, make it all but certain that deliveries of the 60 other satellites will occur as scheduled. Thales Alenia Space is nonetheless sticking with its conservative estimates of when the coming launches will occur, especially since the schedule depends not only on Thales Alenia Space and its contracting team, including Orbital ATK, but also the readiness of launch provider SpaceX. Boeing plans to fabricate and install the airlock’s Passive Common Berthing Mechanism, the doorway satellites pass through as they move from the pressurized environment of the ISS into space. NanoRacks and Boeing are designing the new airlock to be used on the ISS and then moved to a future commercial space platform, Jeff Manber, NanoRacks chief executive, told SpaceNews. Harris Corp. Chief Executive William M. Brown said last year’s indications of a coming strong market for unfurlable mesh antennas have been confirmed, with the company booking two new orders in the last three months of 2016 and more likely on the way. While used mainly for mobile communications, the large reflectors have also found markets in Earth observation. The initial testing for the satellite connectivity portion of the European Aviation Network (EAN) is complete. According to Inmarsat, testing for the first Satellite Access Station (SAS) that will be part of EAN has been completed in Greece. The SAS is located in the Greek town of Nemea and operated under an agreement with OTE, the largest telecommunications provider in Greece and member of the Deutsche Telekom Group. Engineers undertook rigorous performance and stability tests to verify the SAS’ capabilities to serve as a reliable and robust gateway between Inmarsat’s S-band satellite and the Internet. Space Exploration Technologies Corp, better known as SpaceX, plans to launch its Falcon 9 rockets every two to three weeks, its fastest rate since starting launches in 2010, once a new launch pad is put into service in Florida next week, the company's president told Reuters on Monday. The ambitious plan comes only five months after a SpaceX rocket burst into flames on the launch pad at the company's original launch site in Florida. SpaceX, controlled by billionaire Elon Musk, has only launched one rocket since then, in mid-January. 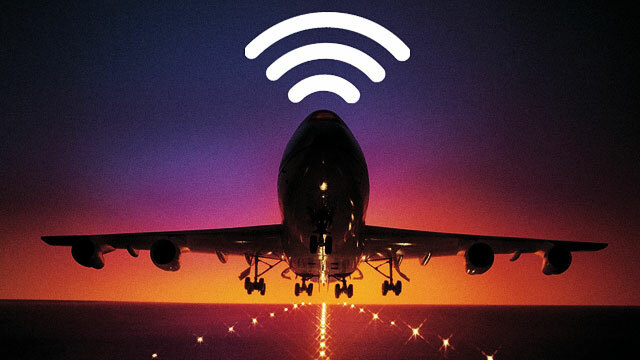 How does Wi-Fi work at 35,000 feet and why don't all airlines offer it? In-flight Wi-Fi is getting faster and cheaper, and is an increasingly common offering on budget and flagship airlines alike. “Sorry I missed your email – I was on a plane” is an excuse that simply doesn’t cut it anymore. But how does in-flight Wi-Fi actually work? To simplify, there are two ways for an internet signal to reach your device at 35,000 feet. The first is via ground-based mobile broadband towers, which send signals up to an aircraft’s antennas (usually on the base of the fuselage). Boeing and NanoRacks will partner to develop the first privately funded commercial airlock, enabling the United States to potentially triple the number of small satellites it can deploy from the International Space Station (ISS) during a single airlock cycle. ISS prime contractor Boeing will build and install the airlock’s Passive Common Berthing Mechanism, the hardware used to connect the pressurized modules of the ISS. The NanoRacks Airlock Module, planned to be attached to the ISS U.S. segment in 2019, will increase the capability of transferring equipment, payloads and deployable satellites from inside the ISS to outside, significantly increasing the utilization of ISS, according to the companies. Currently, the United States uses the airlock on the ISS Japanese Experiment Module. This new commercial airlock will be larger and more robust to better handle increasing market requirements. A combination of scientific breakthroughs and technical accomplishments are making astronomers optimistic the European Space Agency will proceed with development of a space-based gravitational wave observatory. A European consortium submitted to ESA in January a proposal for the development of the Laser Interferometer Space Antenna (LISA) mission for ESA’s third large mission, or L3, competition. LISA is widely considered the leading candidate to be selected for that mission for launch likely in the early 2030s. LISA, as proposed, will consist of three spacecraft in a triangular formation, each 2.5 million kilometers from the other two in an orbit around the sun trailing the Earth. The spacecraft would shine lasers at each other, with interferometers on each spacecraft detecting minute distance changes caused by passing gravitational waves. The Kymeta mTenna Ka-band flat-panel antenna for aircraft is one step closer to production with news that a Ku-band version is being developed for use on VIP and civilian armoured vehicles. Kymeta recently signed a deal with Aurum Security to develop a 70cm flat-panel terminal variant of the antenna for the mobile market. Speaking at the Global Space Congress in Abu Dhabi, Bill Marks, Kymeta’s Chief Commercial Officer, said that the Ku-band mobile version of the antenna is virtually identical to the aircraft variant and is working well. A draft version of the report notes that engineers have found cracks in turbine blades in the turbopumps of the engines. Those cracks, which have not caused problems on Falcon 9 missions to date, would still require a redesign for NASA to allow the vehicle to be used for crewed missions. The report also identified issues with the parachute systems on Boeing’s CST-100 Starliner vehicle. SpaceX, in a statement, said that its engines are “robust” to such cracks but is working on a redesign to eliminate them entirely and qualify the engines for crewed missions. Denver-based aerospace company York Space Systems is currently working with government and commercial customers to standardize spacecraft, hoping to slash both satellite price and time-to-market in the process. The company, which boasts alums from NASA, Lockheed Martin, Orbital ATK and Ball Aerospace, specializes in the mass manufacture of satellites for Earth sensing technologies and laser communication links, providing space entrepreneurs, governments and corporations with quick and affordable access to space. “Ultimately, right now, space data is a frontier that is restricted by the economic viability of it, and while a standardized platform may not meet every need in every market, it can allow people to get to space, get there affordably and can have standard interfaces to know how they are going to do it,” York Space Systems CEO Dirk Wallinger told Via Satellite. Flightcell International has released its next-generation, high frequency, low-cost tracking technology using Internet Protocol (IP) over cellular. 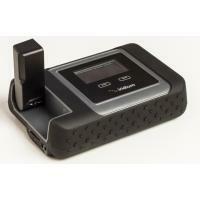 Cellular IP tracking provides more precise tracking by increasing the number of GPS positions sent from an aircraft. This is achieved at a significantly lower overall cost than traditional tracking, according to the company. Cellular IP tracking uses cellular broadband data services and IP routing instead of cellular SMS or satellite data services. When out of cellular range tracking automatically switches to Iridium satellite and the reverse applies when a cellular network is available. When tracking via satellite the frequency of the position points automatically decreases to keep costs down.